Mahe, Victoria (Seychelles) – January 28, 2019 (travelindex.com) – Congratulations to a dear friend, Joël Randriamandranto, who has been appointed as the Minister responsible for Transport, Tourism & Meteorological Services. Joel is someone who believes in togetherness in the Indian Ocean Islands and was one of the five Heads of Tourism Boards who sat together in 2010 at the first meeting to form the Indian Ocean Vanilla Islands, which was followed by my election as its first President. His appointment comes at the time when the Vanilla Islands family will see the Presidency once again taken over by Seychelles in February. The far-sighted Minister Joël Randriamandranto and President Didier ROBERT of La Reunion, worked hard with Minister Nando BODHA of Mauritius and myself way back in 2010 to get the Indian Ocean Islands to be seen as a new Tourism Region. Today, this spirit of togetherness is paying dividends for all the islands of the Indian Ocean, especially in the world of cruise tourism. We wish Minister Joël Randriamandranto continued success in his new Office as Minister. As we near the end of January, it is an opportune time to reflect on the Seychelles tourism sector’s achievements and challenges, and for tourism leaders in Seychelles to continue to work together to shape what lies ahead. These days, different meetings are held and each one ends up alerting the ambitions and expectations of the private sector trade, those who sit as the front line team of Seychelles Tourism. Seychelles’ Visitor Arrival numbers in 2000, are different to the arrival numbers being received today. But the financial expectations and direct benefits from today’s figures have also increased to new heights. I took the trouble to meet many a Praslinois after their Praslin Business Association meeting. Through casual discussions at the Airport Coffee Club, to chatting to them at the Cat Cocos Inter Island Terminal, the views from Praslin as well as La Digue, sing the same tune. The moratorium on hotel construction, the vertical integration regulation, the selective approval in La Digue only for lease properties to have a hotel license, the increase in fees to National Parks among others are being strongly objected, the tampering of the foreign employment quota system that hinders quality of service and the island’s value for money tag line. The number of people employed across the tourism value chain is no small achievement on the main islands of Mahe, Praslin and La Digue among others, and the needed returns from the tourism industry is worrying many as the new arbitrary rules and regulations spark a slowdown of the industry. The inhabitants of Praslin and La Digue join their Mahe colleagues in the realisation that, despite the tough economic conditions of last year that was again being experienced so far in January, tourism continued to be the factor holding everything in place even though it was at a slower rate than Seychelles had forecasted, and the tourism trade were all hoping for. Official figures for 2018 showed a modest increase in international visitor arrival figures, compared to the same period in 2017 (and the impressive growth figures of previous years). France stagnated as a key tourism source market and this cannot, and should not, be taken lightly any longer. The safety of tourists was, and continues to be, a matter that warrants attention. What happens in Seychelles, even in the daily lives of us Seychellois, translates itself on the measuring scale of ‘safety & security’ for visitors. A stabbing in Victoria, or another domestic violence attack that results in another crime being committed, all cloud the clean slate Seychelles so desperately needs to protect. Happily, the private sector controlled tourism services are working and they keep the fly flying, but Seychelles needs to take away as a lesson learnt is that it needs to free the hands of the business community with less restrictive regulations, diminish Income Tax as a burden stifling growth, and that it must emphasise responsible tourism and general responsible use of its natural resources that are listed as key USPs. We are seeing the urgent need of upgrades in services by the State and these include Police, Roads and Medical. The Gate Way to the Blue Economy, the Beaches and the Ports needs the love expected from the State by the Private Sector motor. Popular public beaches are the gate way to the Blue Economy and require the basic facility of public toilets. Last week, on Amities beach on Praslin, an elderly German couple were seen begging for the use of a toilet. Seychelles must now be seen to be ‘Working for Tourism’ safety monitors and be more determined than ever to make it safe for tourists – (bearing in mind that what is good for tourists is also good for us Seychellois) – to visit our beaches, to hike, and to visit our spectacular attractions around the country. The National Airline, Air Seychelles will need the political vision to re-establish its ‘raison d’etre’. As we hear that one of the airline’s directors is resigning, we know that we need to grab this ‘bull by its horns’ to have the airline become once again, the insurance policy for Seychelles Tourism. Tourism growth must be the desire of every patriotic Seychellois. It translates into economic growth, jobs and opportunities for many. In 2019 the collaboration between the public and private sector must be strengthened to further grow and drive the industry to reach even greater heights. It is the one industry that can readily deliver the jobs and economic growth that our country so urgently needs. Despite the challenges we faced during 2018, the start of the new year offers us an opportunity to move forward positively and decisively. Let us make 2019 a magnificently successful year – a year in which we lay a solid foundation for even greater tourism successes in future years. We must appreciate our whole vibrant tourism community who continue – with passion – to invest in, innovate and enhance our tourism offering, provide excellent services, and deliver memorable experiences to all our international and domestic visitors. Let us listen to their suggestions and proposals. Tourism Trade Fairs are taking place one after the other and some tourism ministers are out and about making their mark and pushing their country ahead of the pack. One such man on the job is Najib Balala, the CS for Tourism for Kenya who was at FITUR in Madrid to tell the world that Kenya was waiting for their visitors. The “early bird catches the worm” was how Minister Balala’s presence at FITUR was described by many who saw his tireless efforts at to re-position Kenya as a safe tourism destination after the touch of a terrorism attack just a week prior. Kenya tourism had a successful 2018 and they are wasting no time in working to keep up the momentum. 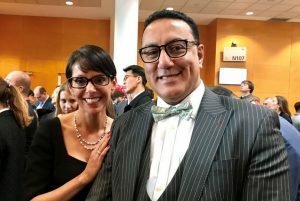 Anita Mendiratta, the well-known and very influential media and tourism personality, caught up with Minister Balala and she posted:- “Honoured to cross paths with Hon. Minister of Tourism of Kenya as he carries to FITUR in Madrid heartfelt appreciation of People of Magical Kenya for UNWTO, WTTC, US TOA, & Global Tourism community for their support in days of challenge into shared, united tourism”. Directors of various tourism boards of the Indian Ocean islands have attended a meeting held on August 4 on Reunion Island, in order to develop a marketing plan for the region’s tourism industry. Present at the meeting were, Alain St.Ange from Seychelles, Joel Randriamandranto from Madagascar, Pascal Viroleau from Reunion, and Dr. Karl Mootoosamy from Mauritius. The president of the Chamber of Commerce for Reunion Island, Pascal Plante, chaired the one-day meeting, which took place in Saint Denis on Reunion Island. With the three leading destinations of the region – Mauritius, Reunion, and Seychelles – being at the forefront, the objective was to revitalize the Indian Ocean island’s tourism by reinforcing the islands’ attractiveness through a series of measures aimed to penetrate and secure new tourist markets through each of the island’s unique selling points and to put into place either a culture of evaluation or a system of marketing research that will assist the islands either on an individual or on a collective basis. To better position the region at the international level, the tourism representatives from the region have agreed on a brand image – the Vanilla Islands – for the Indian Ocean to better sell the islands as a whole. Accessibility, quality, uniqueness, and competitiveness, together with the local culture of each of the islands, are all attributes that can help the region rise to this new positioning. The exotic and sentimental charms of the Indian Ocean, including its patrimony and multitude experience, are other characteristics that can also play a part in creating a more positive image and increase the visibility of the region within the European market (France, UK, Germany, Switzerland, and Italy), Scandinavian market (Denmark, Holland, Sweden, and Finland), and the South Africa and Asian market (India and China). In order to start building this new image of the Indian Ocean, it was agreed that there were some priorities that first needed to be put in place, including the set up of a website, a joint promotion to further develop the cruiseship business, and the establishment of a “regional academy” so as to have people specailizing in products of the region. – a meeting in Seychelles from October 19-22 for the endorsement of the plan for the Indian Ocean Economic Forum. Alain St.Ange, the CEO of the Seychelles Tourism Board, said on his return to Seychelles that the idea of a label for the Indian Ocean islands was a must in this globalized world. “We all need to be proud of our region and then to push that region to ensure that the strengths and unique selling points of each of our islands are put forward in our bid to bring the Indian Ocean Islands to the minds of potential visitors. Together we are strong, and together we are not an island but part of a whole destination,” Alain St.Ange said.